We encourage you to combine these ideas with other popular attractions you’d like to visit while in Henderson. Use these itineraries as a planning tool during your visit, or stop by the The Depot to speak directly with our staff for assistance in planning a custom itinerary based on your interests. For additional questions, visit www.hendersonky.org or call us at 1-800-648-3128. Start your morning with breakfast at one of our restaurants. Next, explore the artworks by Raymond Graf on the Audubon Sculpture Walking Tour. The cast-bronze sculptures are based on paintings from Audubon’s “Birds of America” series and are located throughout downtown. You don’t want to miss the chance to see Audubon’s works up close. 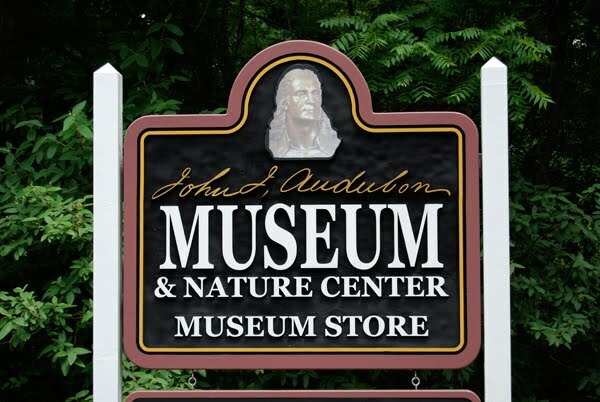 Head to Audubon State Park Museum and view one of the world’s largest collections of original Audubon art. The museum is open daily 10 a.m. – 5 p.m. Visit the museum store for reproductions of Audubon prints, Kentucky craft and food products, books, toys, textiles, and nature related items. Enjoy lunch at one of our tasty barbecue restaurants before heading to the Rotunda Gallery. Located in the public library, this gallery hosts several rotating exhibits throughout the year. If you’re traveling during the summertime, plan ahead to visit during one of our bluegrass or jazz festivals. Experience the excitement of watching live music in a beautiful outdoor setting. 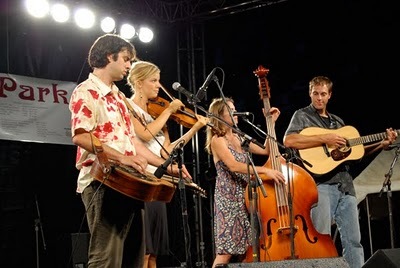 You can learn more about two of our most popular festivals by visiting www.handyblues.org or www.bluegrassinthepark.org. A short drive will take you to the Evansville Museum for exhibits in art, history, and science. The Koch Planetarium is also located at the museum, and features live shows beginning at 1 p.m. and 3 p.m. every Saturday and Sunday. After dinner at one of Henderson’s restaurants, catch a show at the Henderson Fine Arts Center. We recommend planning ahead, so that you can choose a show that best interests your group. For specific event information visit www.haaa.org or call (270) 826-5916. Staying for more than a day? Listen to original recordings and watch legends perform on video at the International Bluegrass Music Museum in nearby Owensboro. In the morning, enjoy a bike ride along the riverfront and a visit to one of Henderson’s most popular city-operated parks, Atkinson Park. The park offers recreational activities such as disc golf, swimming, biking, and the Riverwalk path. The pool is opened seasonally from Memorial Day weekend through Labor Day. Grab a sandwich at a downtown deli or get carryout from one of the many restaurants, and eat at a picnic table in Audubon Mill Park on the riverfront. While there, explore the park’s rich history. Signs describe naturalist’s John James Audubon’s grist mill, which was once located in the park. Statues of Audubon and his birds are throughout the park. Stop by The Depot and ask for a Sculpture Walking Tour brochure. This brochure describes a scavenger hunt of hidden statue details. The whole family can work together to discover the unique hidden creatures in the bird sculptures. Be sure to take the kids to John James Audubon State Park as well. Enjoy recreational activities such as boating, fishing, and hiking. The nature center allows children to get an up close view of snakes, turtles, and other creatures in the park. Throughout the year, kids can participate in children’s activities at the park. For more information on these activities, call (270) 827-1893 or visit their website. Staying for more than one day? 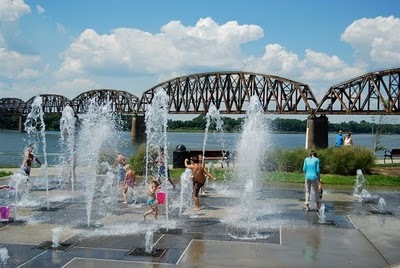 Drive to nearby Evansville and visit the Children’s Museum of Evansville or the Mesker Park Zoo for additional fun activities for the whole family. Start your day by visiting John James Audubon State Park. Nearly two centuries ago, John James Audubon, renowned naturalist and artist, came to explore the surrounding wilderness in search of wild birds to study and sketch. Before you come, request birding and trail maps online or stop by The Depot. Next head downtown for lunch and shopping. While there, enjoy the Audubon Sculpture Walking Tour. Several bird statues based on Audubon’s artwork are on display throughout Henderson’s city streets and in the parks. Take a moment to enjoy the barges on the Ohio River at Audubon Mill Park, before heading to the Sloughs Wildlife Management Area. These wetlands are home to nearly 10,000 geese and 10,000 ducks during the winter. Great blue heron, bald eagle, prothonotary warbler, waterfowl, swamp rabbit, squirrel, deer, quail, raccoon, beaver, coyote, and dove are all found here. Consider staying in one of the six cottages at John James Audubon State Park, and enjoy the lakefront views in the morning. If you have more than one day, we’d recommend hiking and climbing at nearby Garden of the Gods in Illinois. While there enjoy a ferry ride and explore Cave In Rock. Enjoy breakfast at one of our local coffee shops. Afterward take advantage of the exceptional shopping possibilities downtown. Explore the antique stores and unique boutiques. Check into one of our comfortable Bed & Breakfasts and relax before lunch at one of our downtown delis. Next, take a drive to Ruby Moon Winery. 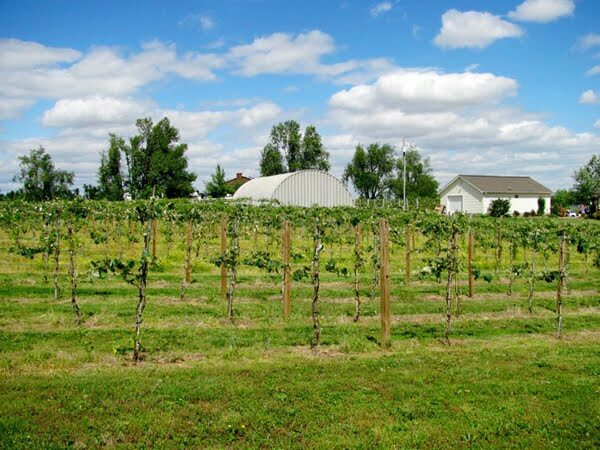 The winery offers dry and sweet wines made from estate grown grapes and other locally grown fruits. Tour the winery, stroll through the vineyard, and enjoy a glass of wine and the delicious selection of Kentucky-made gourmet cheeses. Enjoy the summertime tradition of Thoroughbred racing at Ellis Park Race Course. Experience the fun of choosing a horse, and the thrill watching the race unfold. Finish the day off by catching a performance at the Henderson Fine Arts Center. We recommend planning ahead, so that you can catch a show that best interests you. For specific event information visit www.haaa.org or call (270) 826-5916. If you have more than one day, we’d also recommend traveling to Amish Country to enjoy the food, shopping, and history.